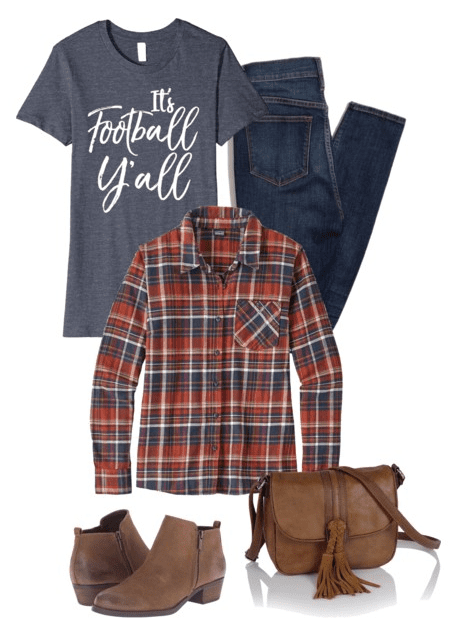 It’s game day and you’re wondering what to wear to a football game! Look no further ladies. 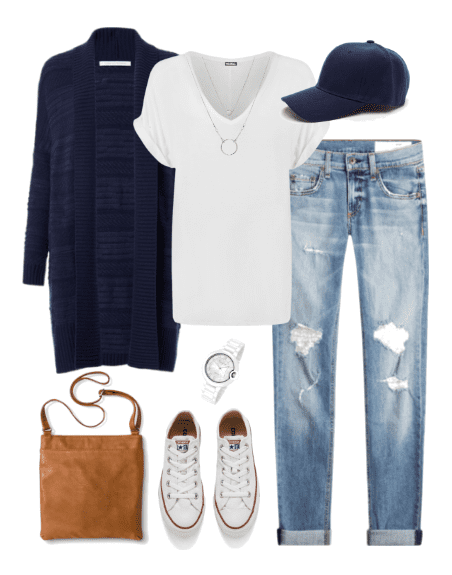 We have the scoop and the cutest outfit ideas for a night under the stadium lights. I don’t know about you, but if I’m going to be sitting outside cheering my team on, yes I want to look good. (Obviously.) But, I also want to wear something I feel good in. Most likely you’ll be sitting, standing, jumping, walking, cheering, hugging at some point. Possibly all at the same time. 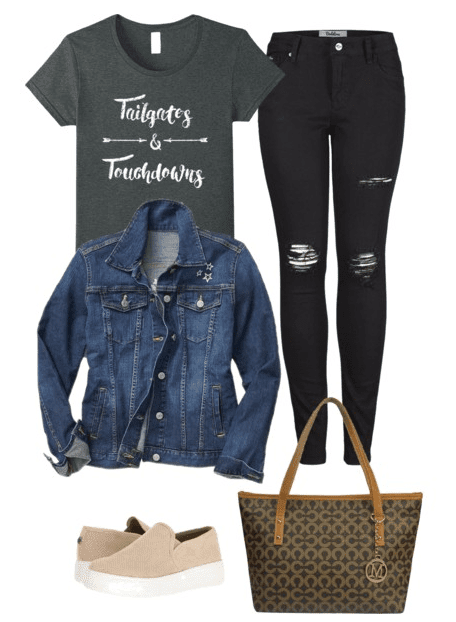 So here are a few outfit ideas that are super cute, yet practical for a night of football watching.